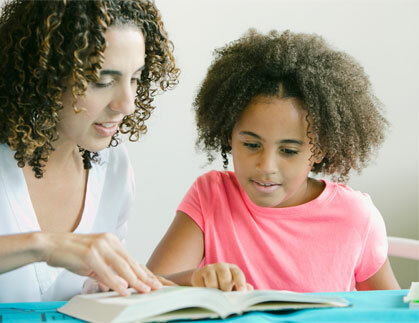 Academic Achievers Educational Services offers one-on-one, in-home private tutoring for pre-K through college applications including award-winning test prep and educational specialists. Academic Achievers Academy is an in-facility homeschool for grades K-6. If your child is already in the elementary grades, make sure to keep them on track—learning to love learning—with our Early Elementary Subject Tutoring. Our Master teachers will help keep them from falling behind or getting bored during their critical early years. And they’ll develop key study and organizational skills to sustain their progress. For better or worse, fairly or not, standardized tests like the ACT, SAT and ISEE can present a major obstacle—or a major opportunity—on your child’s academic journey. For those who test well naturally, our Test Prep program provides expert support to fine tune for the “big day”. And for those who struggle with testing, our program can demystify the tests, transforming them from impending disasters to surmountable tasks. One-on-one, our tutors will help your teen bring their best self to the test. There are a thousand reasons why traditional elementary schools might not be a great fit. But your child is one of a kind. Why not choose an elementary school that knows it? Achievers Academy brings your child the very best of one-on-one academics, customizing every lesson, every day. You can use the Academy for individual subjects, for all academic classes or, for a comprehensive experience with small group enrichment activities as well, choose our Full Day program! "We had our son do private tutoring here for his ISEE. Gabe was such a great tutor, and Janis was incredibly helpful and accommodating. Our son was accepted to both Harvard-Westlake and Brentwood. Academic Achievers let you take all the practice tests you will need, that are timed and under a testing structure at no additional charge. Gabe really related well to my son. Applied to 2 very tough schools for 7th grade and got into both. He had outstanding ISEE scores. I wish I had known about them earlier and had sent my other son there. He would have definitely done better! " "Academic Achievers is on my very short list of test prep/tutoring companies that I recommend. " KinderPrep Camp - Get Ready for Kindergarten! There are a thousand reasons why traditional elementary school programs might not be a good fit. But your child is one of a kind. Academic Achievers offers an alternative: Academic Achievers Academy, a groundbreaking option for students in grades K-6. Enjoy extreme flexibility, custom-tailored academics, a safe and nurturing setting, and all the features of a comprehensive program. A school that schedules around your family.